Noun. 1: The epitome of the ideal man as a mate. Romantic and charming . 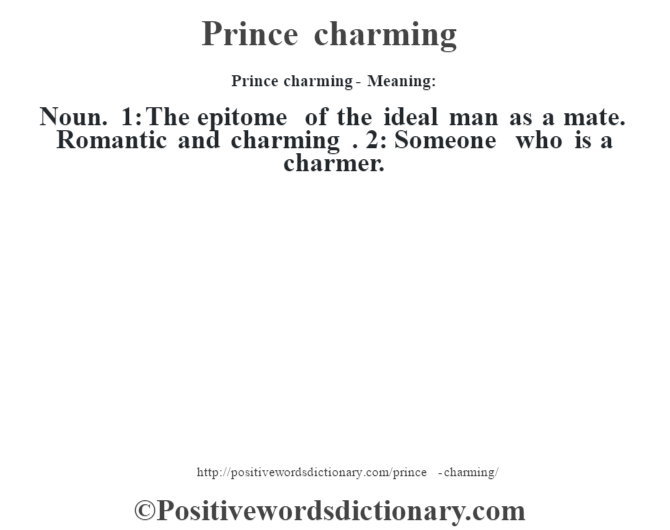 2: Someone who is a charmer.